As one of the best catering options in Phoenix, Benedict’s Catering prides themselves on providing award-winning service, inviting presentation and detailed even planning that makes your next event a hit with all of your guests. They specialize in events of any size and for any occasion, they can make your vision come to live and provide a vast menu of choices. From traditional platters to seafood items like crawfish, this catering company can make it all. And they also specialize in ensuring that your event is as effortless as it is memorable, from start to finish and are happy to help you arrange it all. Let Amici help you with your figure out your event menu since they provide scrumptious dishes that will delight all who try it. They have highly trained specialists that will develop a personalized a menu that reflects your personality and favorite meals. If you are looking for fresh, homemade food, then Amici is whom you need to call. They have a number of homemade recipes you can choose from and they all result in mouth-watering items you’ll want more of. 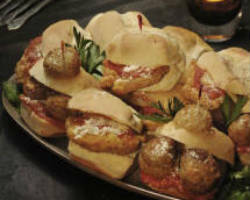 They offer amazing Italian catering since they utilize their experience from Tucchetti Italian Restaurant. 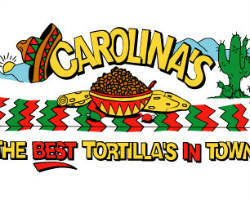 They have the best tortillas in town and make great Mexican food that will leave you wanting seconds. They offer party platters and buffets for any size occasion and are one of the top ranked local caterers the city has to offer. This catering company has been around for years and continues to please the taste buds of many in the area. This catering company has been reviewed by many top magazines and always has positive reviews from other clients that love the food and always use Carolina’s for all their catering needs. 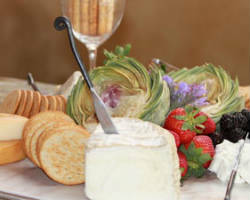 As the one of the most renowned wedding catering companies in Phoenix, Arizona Taste Catering has the diverse resource and style to create the perfect atmosphere for any type of occasion you want. They provide professionalism and expertise that makes for sumptuous food choices that are deliciously displayed for all your guests. They use only the best ingredients for all their dishes that result in a culinary experience that excites all of your senses. You’ll love everything on their menu and will get compliments from all your guests. If you love sushi, why not have it for all your guests at your next function! Just call Sushi Catering Company and they’ll provide a unique eating experience for your party or special event. 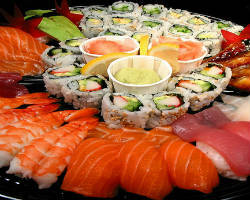 Their sushi chefs will delight your guests with all types of amazing sushi dishes and rolls. The fish they use is always fresh and prepared the same day so it always taste good. As one of the top catering options in the city, this company will also help you arrange your special event and can aid in planning your corporate affair. Catering in Phoenix doesn't get any better than Ralph’s Snack Bar, which is a restaurant on wheels! 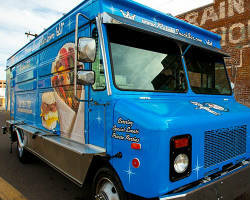 They prepare and serve quality food and will go anywhere your event is. They have the largest and newest fleet of modern hot food trucks in the city and provide service for all types of events, including private parties and corporate functions. They offer customers reliable service and an extensive menu with affordable pricing. You’ll be greeted by experienced drivers/operators and cooks, in addition to being treated to great food. If you’re looking for healthy and cheap options that still taste incredible and yummy, thin call Pita Jungle! 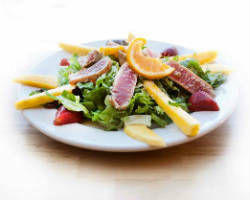 They make each of their dishes with all sorts of fresh ingredients and believe that eating healthy is the way to go. And they are very creative with all their menu choices, creating things that are good for you and taste great. They have a wide variety of platters, pitas, salads, side orders and desserts to choose from, with all being equally mouthwatering. 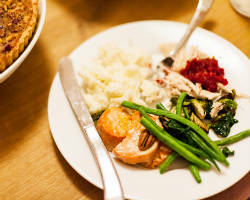 This Phoenix catering service option makes great lunch caters for businesses and corporations.